Once you have gone through the process of searching, applying and finding a job it is essential now for you to keep it. As an adult with ASD, time management is going to be critical for you to have under control to ensure you keep your job. 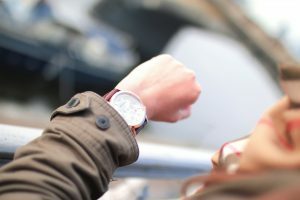 Time management can be undertaken in a number of ways depending on your lifestyle at home, your outside work activities and at work requirements. Let’s have a look at what needs to be done to manage your time effectively. The best way to manage time is by developing routines and schedules to assist with your daily activities. In the first instance there is the management of your daily personal routine. This includes personal hygiene, clothing selection, breakfast preparation, support to any other family members and preparation of items that you need to take with you for the day. All this needs to be done in a timely manner so that you leave home early enough to get to work on time. It is all about organising your morning routine. Once at work you need to manage your workload, prioritise what work tasks need to be done and organise your break times and return from these on time to re-commence work tasks. At the end of the work day you need to manage your evening routine. This will include travelling home and undertaking any tasks necessary at home. You may need to pick up groceries on your way home or children from child care or school programs. All this needs to be scheduled in so your time is managed efficiently and effectively. When you are at home you will need to do any chores that are identified in your routine or schedule such as washing clothes, cooking a meal, helping your children with homework etc. Once you consider your lifestyle requirements some of the routines and schedules that will assist, can be planned for in the evenings, mornings or put off until the weekend, in which case you may need some assistance in organising your weekend routine.